As the saying goes; go big or go home. That is exactly what Alaska Wild Berry Products did when they added that 20 foot tall chocolate fountain to their candy store in the early ’90s. Said to be the largest of its kind in the entire world, that incredible attraction is just step one on the journey into this magical place. 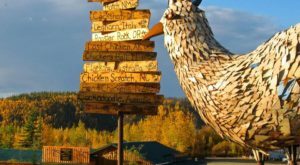 Filled with an array of homemade sweet treats, savory favorites, Alaskan memorabilia and a surprising bonus out back, you’ll want to spend the whole day here just to make sure that you can fully soak it all in. 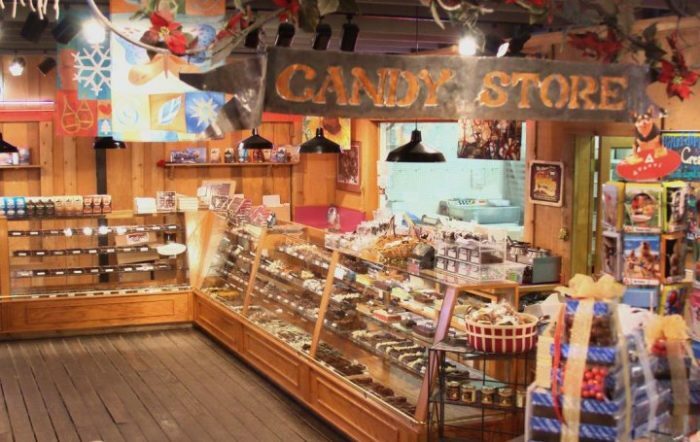 After 70 years in business, it’s safe to say that this candy store is one of the sweetest parts of Alaska’s history. 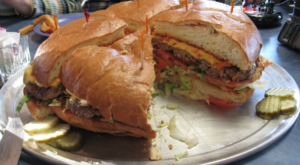 After just one bite, we know you’ll agree! 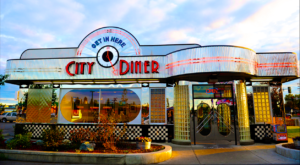 In today's world, you don't stay in business for 70 years without having something super special and totally unique to offer. 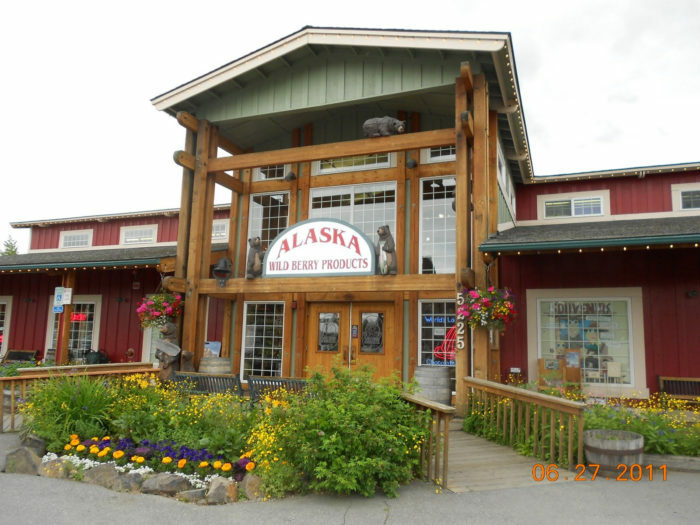 Alaska Wild Berry Products in Anchorage, Alaska is celebrating 70 years of incredible customer service, quality products and some of the sweetest treats this side of the Mississippi. The celebration is happening on September 24th, 2016 from noon - 4pm and let us just tell you... it will be the party of a century. They will have will have door prizes, giveaways, free kitchen tours, candy making demonstrations, face painting, balloon animals and so much more! All you have to do is take one step inside to see what all of the fuss is about. First things first, can we talk about the decor? This whimsical place truly leaves no stone un-turned when it comes to offering magical decor that makes you instantly feel like a kid again. If you like selection, this is the place for you. 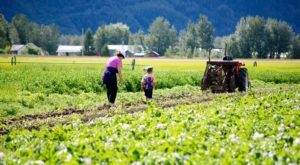 Or if you have a brood of kiddos with you that all have different preferences, you're in luck because you'll find something for everyone here. Step right up to one of the many candy counters and fight your inner senses that are screaming at you to try one of every single item available. If you're going to go into a sugar coma, this is definitely the place to indulge! 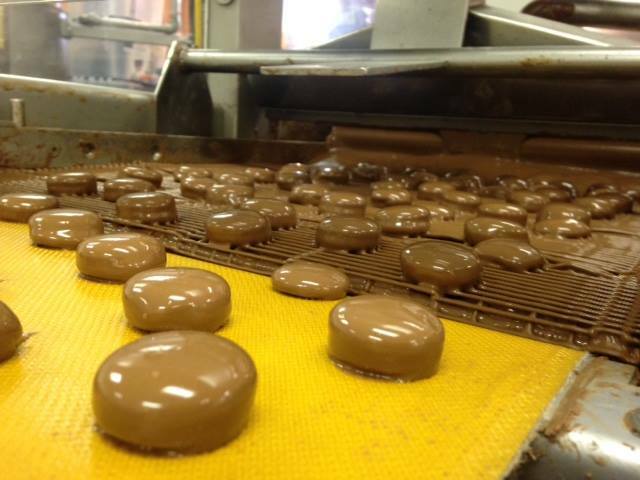 Just about everything you see inside the many different candy counters is handmade. The kitchen is absolutely massive as it has to support the amount of yummy treats that they churn out on a daily basis. 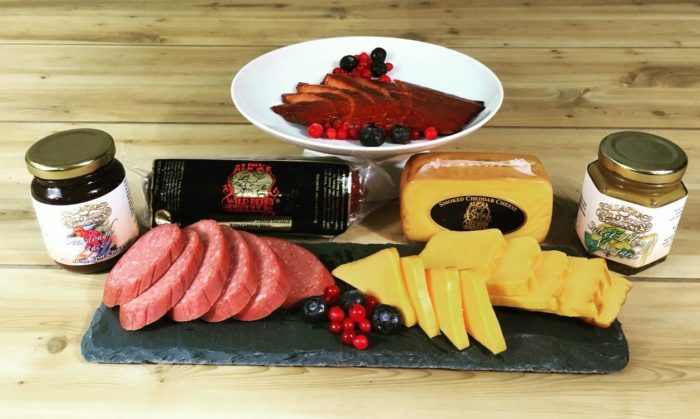 Although everyone is different, there are certainly some fan favorites at Alaska Wild Berry Products. 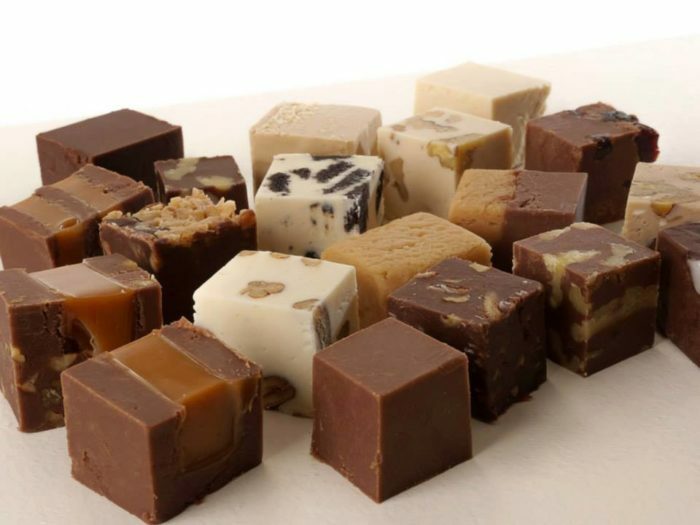 The variety of different fudge flavors... WOW! So decadent that you won't want to put the box down. There is just something about a homemade truffle as it melts in your mouth that has a way of sending you into a state of euphoria. 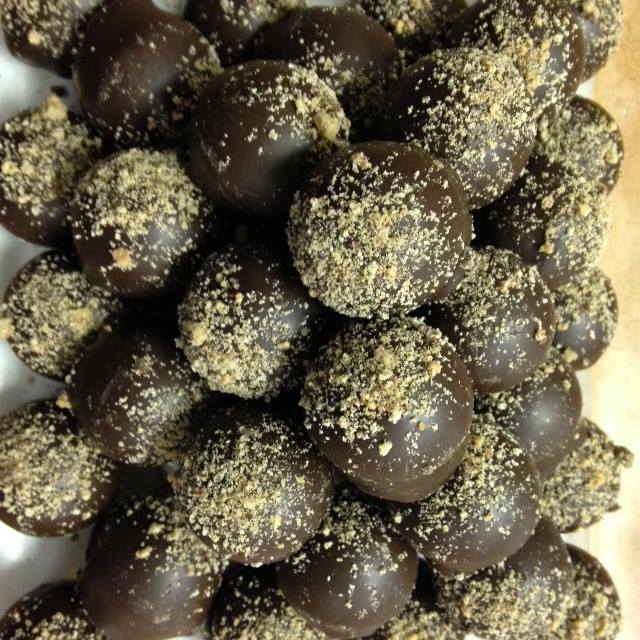 If it's never happened to you before, it will once you try the truffles made at Alaska Wild Berry Products. 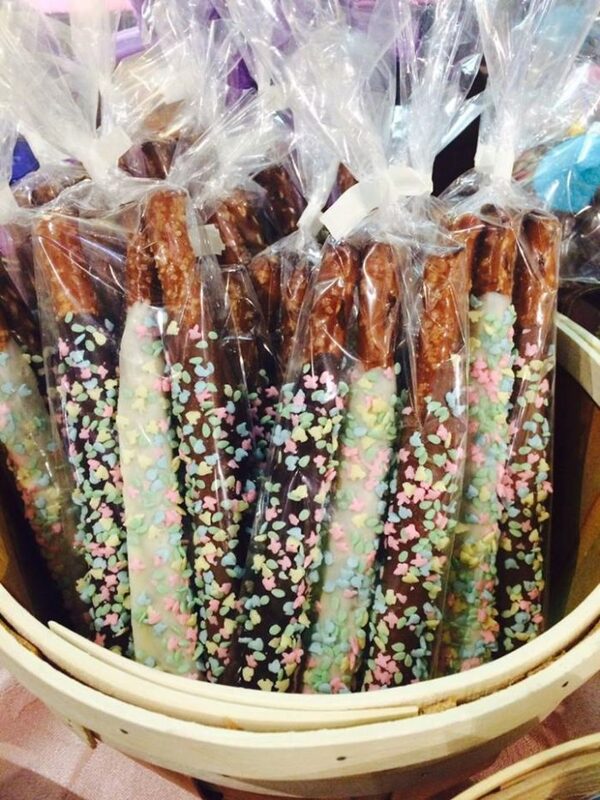 Many kids and parents alike love the chocolate dipped pretzel sticks. Kids of course are attracted to the colorful sprinkles but the milk chocolate and white chocolate mixed with the salty pretzel stick is a perfect flavor explosion inside your mouth. 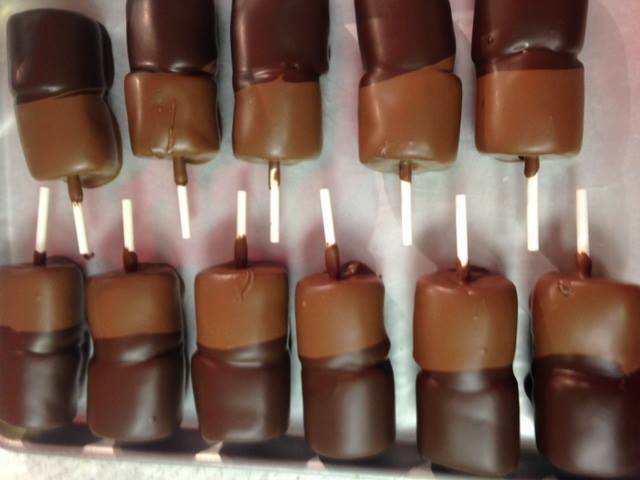 Another beloved sweet treat here is the extra large marshmallow pops dipped in two different flavors of chocolate. Hard on the outside but soft and sweet on the inside, YUM! Last but not least, we can't forget to mention the most exciting attraction of them all. 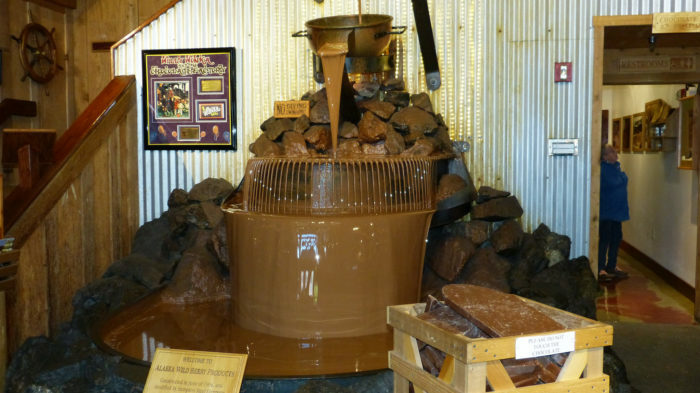 Right when you walk into the store you'll see this giant 20 foot tall chocolate fountain. 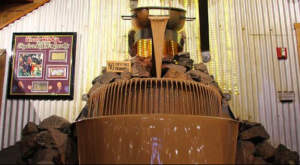 It takes the chocolate from the bottom and bottom and pumps it all the way up to the top. 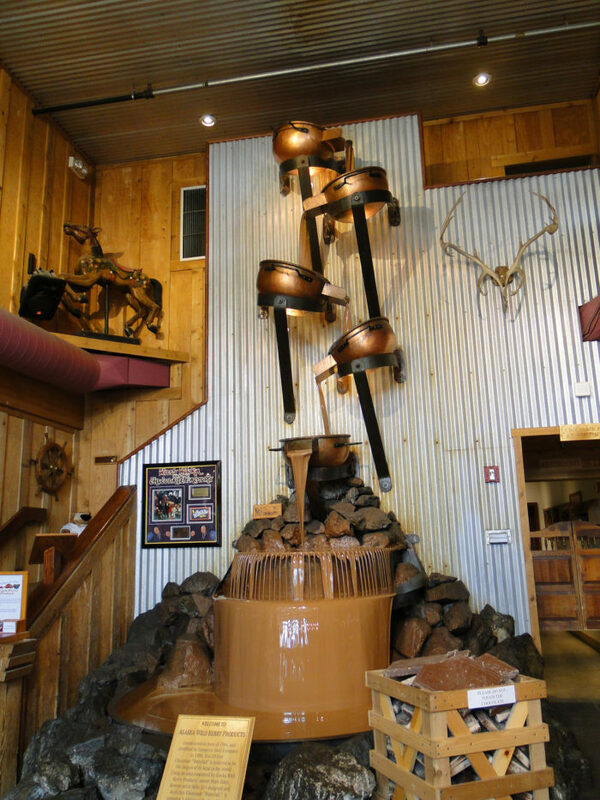 The copper kettles are used because when they are heated up they distribute the heat evenly so that the chocolate keeps a consistent temperature and doesn't clump. This waterfall was constructed in 1994 and it's said to be the largest of it's kind in the entire world. Many visitors like to stand next to this incredible fountain for a photo, which really puts the massive size into perspective. A very cool one-of-a-kind feature makes this place particularly impressive. 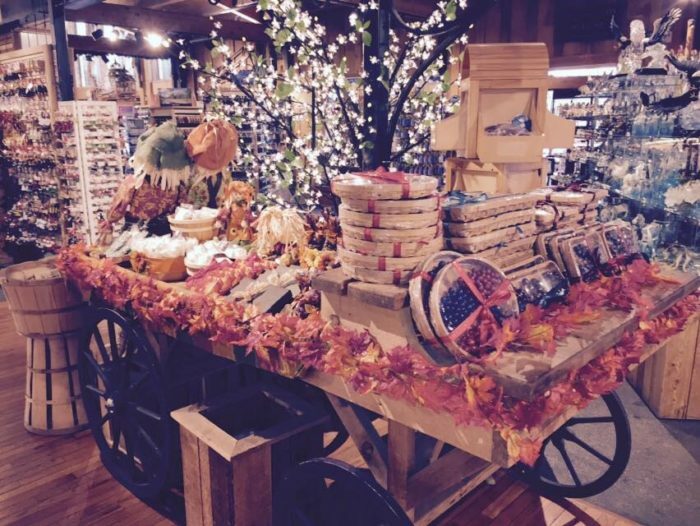 One of the really neat things about this massive candy store is that it offers so much more than just candy. So if getting a sugar rush isn't really what you're in the mood for (but the kiddos are), you have a wide selection of savory items to feast your eyes on. 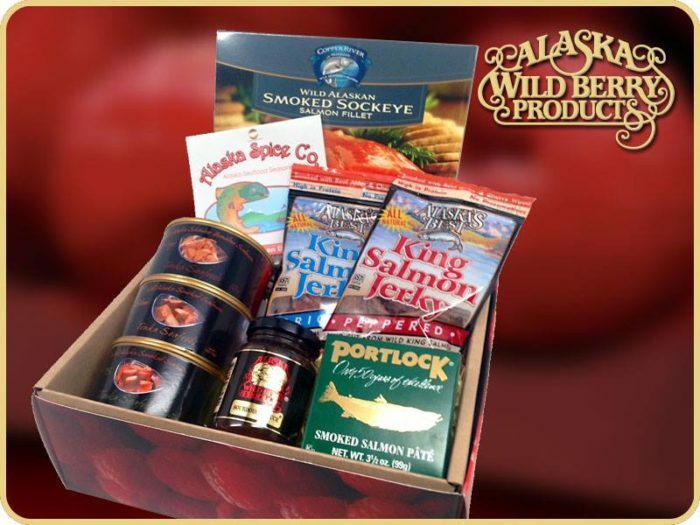 Gift baskets include a wide selection of meats, cheeses, canned salmon and smoked salmon from Alaska. If you happen to be throwing a little party at your house sometime soon, these gift baskets make the perfect party platters. Or if you are visiting Alaska on vacation, this is the perfect gift to bring back to friends and family looking for a taste of the last frontier. But don't worry, if you're all out of room in your suitcase they offer shipping options right on sight. It's a win/win situation! 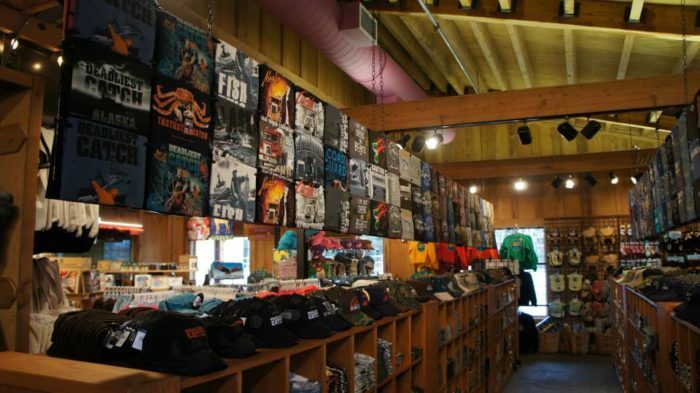 Before you leave the store you've got to check out all of the cool merchandise avaialble. Hats, shirts, hoodies, key-chains, magnets, jams, spices and SO much more! 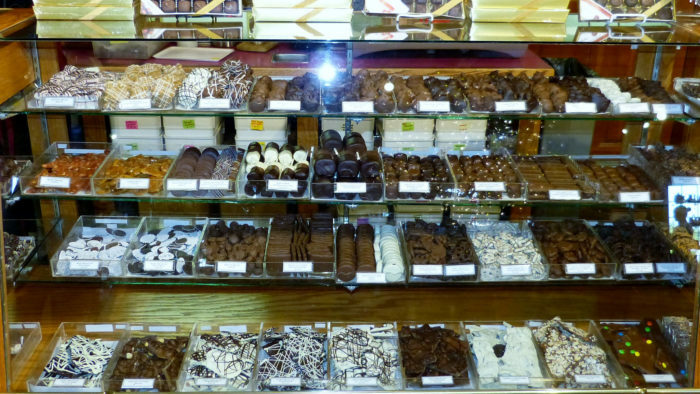 You will be amazed by what you'll find in this massive candy store. Before you leave altogether you should definitely check out what lays beyond the delicious candy inside. The outside area is a continuation of all the awesomeness inside! But wait, that’s not all! 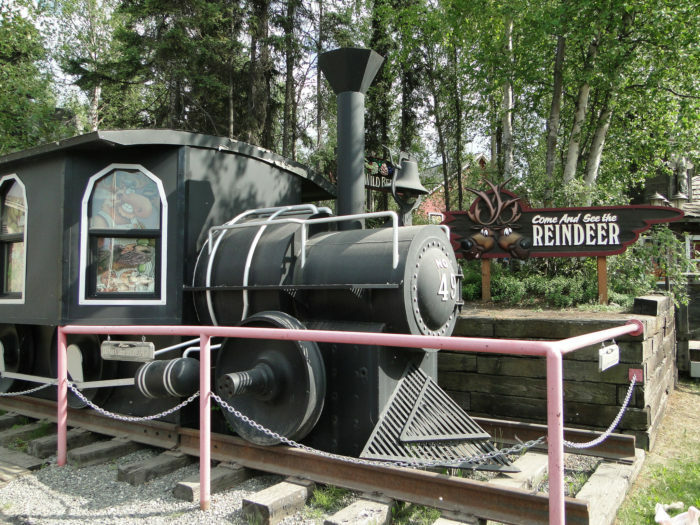 In addition to the incredible candy store is the Alaska Wild Berry Park & Theater. 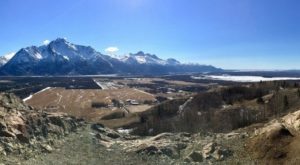 Learn more about the last frontier and spend half of the day enjoying all that this massive wonderland has to offer. 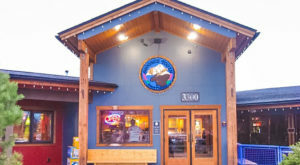 You can even stop by the Alaska Wild Berry Grill for a savory lunch or have an ice cold beer or glass of wine in the Alaska Wild Berry Beer Garden. 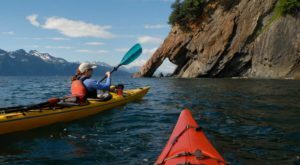 If you love visiting places in Alaska that have delicious food and great views, you’ve got to check out these 13 incredible waterfront restaurants that everyone must visit.